Sunrisers Hyderabad (SRH) will take on Mumbai Indians in the 19th match of Indian Premier League - IPL 2019 on 6 April 2019 at Rajiv Gandhi International Cricket Stadium, Hyderabad. As far as weather is concerned, the temperature will be below 30°C with humidity not more than 40% during match hours. It looks like a beautiful wicket. Not a lot of fun as a fast bowler. There is a bit of grass, which means that there would be some skid, and then some turn later on in the day. The high scoring game will be seen today. Royal Challengers Bangalore are yet to win a match this season, lost all the 4 matches played till know and are at the bottom of the points table with 0 points. On the other hand, Kolkata Knight Riders are in great form and had won 2 matches in the 3 matches that too in the super over. Royal Challengers Bangalore are lacking strength in their bowling department, Tim Southee might replace Shimron Hetmyer and Mohammed Sirja may be replaced by Washington Sundar. For Mumbai Indians, Lasith Malinga will miss next three matches; Mitchell McClenaghan will be replacing him. Sunrisers Hyderabad (SRH) and Mumbai Indians (MI) have played 12 matches against each other in Indian Premier League (IPL); Sunrisers have won 7 of them and Mumbai Indians won 5 matches. In the last 6 matches, Sunrisers Hyderabad has won 45of them and Mumbai Indians have won only 1. In IPL 2018, Sunrisers Hyderabad defeated Mumbai Indians in both matches and registered their first win against Mumbai Indians at Wankhede. 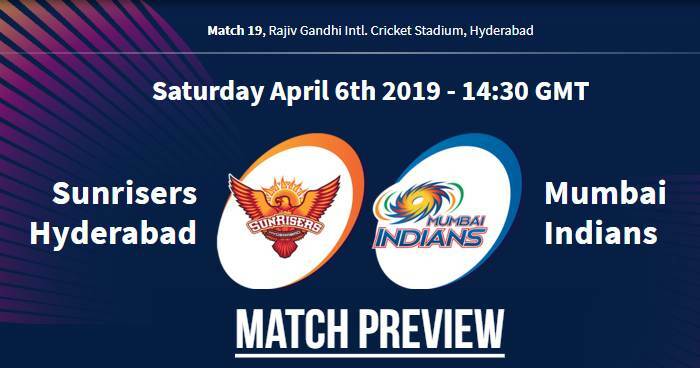 At Rajiv Gandhi International Cricket Stadium, Sunrisers Hyderabad and Mumbai Indians have played 6 matches; 4 matches are won by Sunrisers Hyderabad and Mumbai Indians won 2 matches. 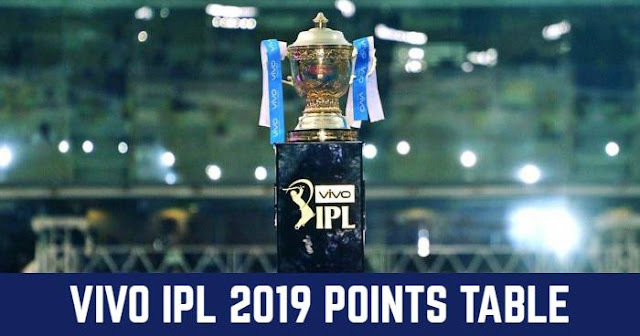 Sunrisers Hyderabad’s scoring rate of 10.16 in the powerplay period is the best among all teams in VIVO IPL 2019. 7 of Mohammad Nabi’s 9 wickets in the IPL are of left-hand batsmen. Rashid Khan has an overall economy rate of 4.06 in the four matches he has played against the Mumbai Indians. Probable Playing XI for SRH: Bhuvneshwar Kumar (c), Yusuf Pathan, David Warner, Siddarth Kaul, Manish Pandey, Mohammad Nabi, Jonny Bairstow (wk), Vijay Shankar, Sandeep Sharma, Deepak Hooda, Rashid Khan.